Hellloooo babes! So, after I complained about the heat in Madison in my Fall Wishlist post on Tuesday, my prayers were answered and yesterday was the perfect 60 degree fall day. In fact, it felt so much like fall that my inner basic white girl was craving all of the pumpkin spice ;) and I needed to act on it. 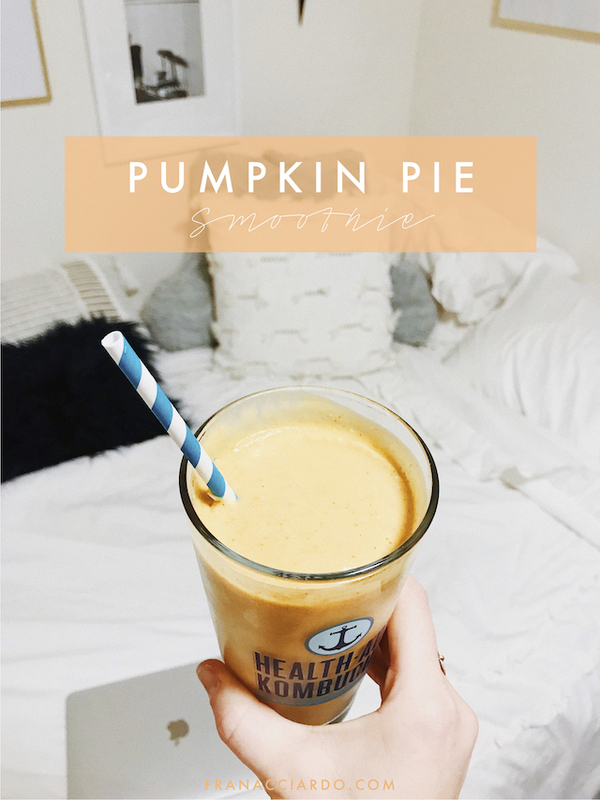 I made a delicious pumpkin pie smoothie for dinner last night and it couldn't have hit the spot more! So easy, healthy, creamy, and full of fall flavors-- I was so excited when I did a little Instagram Story poll and you wanted me to share the recipe! I found the inspiration for my recipe here and adapted it for one serving. It was SO good, you guys. You must try it!! 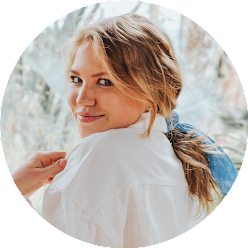 I enjoyed it for dinner after a workout but I think it would also be great for breakfast, an afternoon snack, or as a smoothie bowl topped with granola and/or pecans... yum. One of the best parts is that compared to other smoothies, it's fairly low in sugar and full of protein and fiber. For the yogurt, I used about 3/4 of a plain Chobani nonfat single serving yogurt, but any kind you prefer would work.. I think vanilla or pumpkin flavor yogurt (trust me, I've had that and it's good) would be fun to try too, but it would add a little more to the sugar content. For the pumpkin pie spice, if you don't have that, cinnamon would be a great substitute! I blended everything together longer than usual to make sure all of the oats were really blended in, and then I put it in the freezer for 15-20 minutes. I did this just because the consistency is very, very creamy and although that's a good thing, I think this particular smoothie just needed a little extra solidifying. Let me know if you try this recipe! I love sharing easy recipes that are healthy and delicious, and this one is definitely all three of those things! Have you made anything fun recently, or do you have any go-to recipes for fall?